At cat shows, they judge you by I don't know what. They fur shure judge by breed. 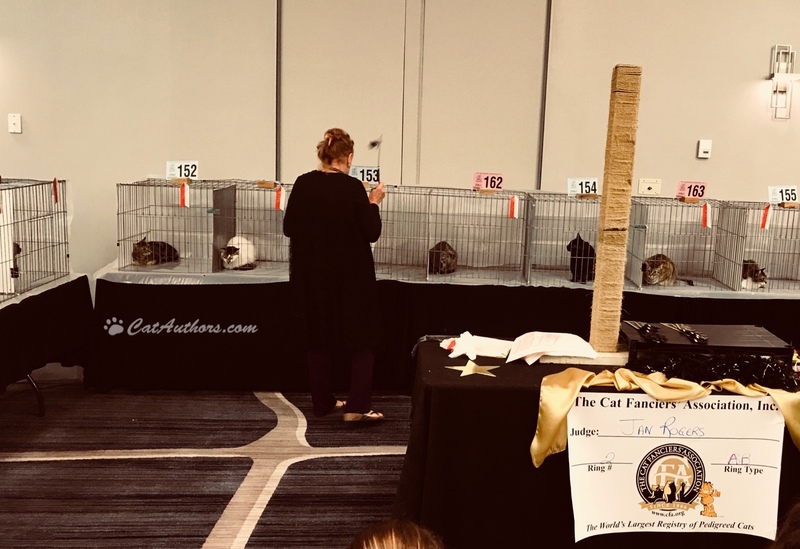 Meowmuh said she didn't see any Egyptian Maus or Scottish Folds there so she watched the judging for 'House Cats' or the 'mixed' or 'no-breed' cats. Meowmuh was rooting for a little kitten but he only came in 10th out of some 34 entries. She said she liked the kitten because it looked and acted like me. Reckon that's a good thing.